Available for private and public events, all types, all sizes. Carolyn performs as a duo act up to her big band for private parties, corporate events, house concerts, festivals, public venues & cabaret series. An eclectic sophisticated repertoire from jazz and The Great American Songbook to vintage pop with a jazz twist. If you’d like to book Carolyn for your own event, please review her online press kit. Julie London and her husband Bobby Troupe made some beautiful music together! With me for this afternoon show is my Sammons Cabaret partner and pianist Brad Williams. Miss Jones an her Fresh Vintage Jazz Trio perform in The Creek Bar and Lounge. We're out side on the patio - public walk - at the SHOPS AT LEGACY SOUTH SIDE in front of Urban Outfitters. Music 'till 9:30 pm! June is a great month to be outside so come join us- have some dinner at one of the local venues or sit on the benches and have some ice cream while listening to our duo. After dinner show with Carolyn Lee Jones Trio. Luxury retirement living at its finest. 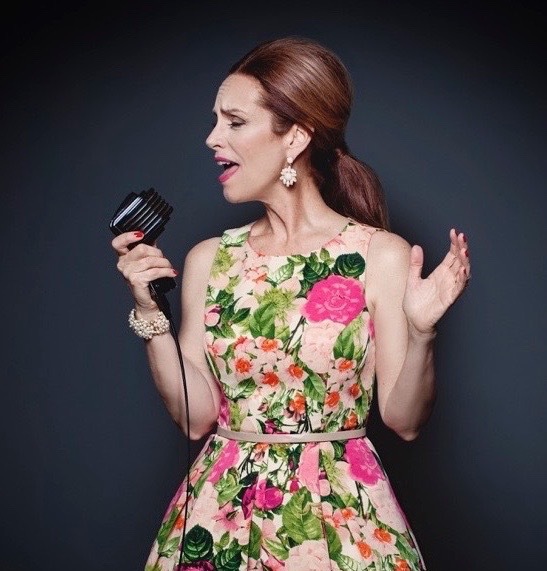 Miss Jones and her Fresh Vintage Jazz perform tonight in the Creek Bar and lounge. Miss Jones and her musical partner perform tonight for members of Royal Oaks Country Club in the Creek Bar. A little bit of merry cheer for the season with Fresh Vintage Jazz Trio.